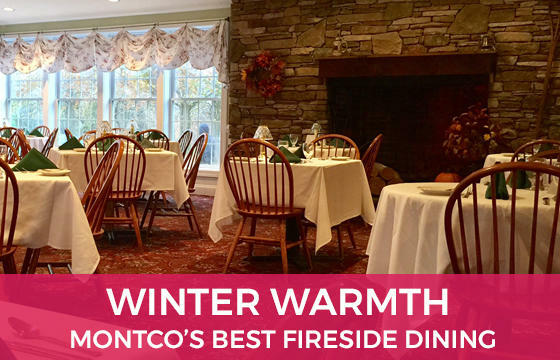 Celebrate Valentine's Day with a memorable meal in Montgomery County, Pa. Montco is home to some of the most romantic restaurants in greater Philadelphia, and with unbeatable Valentine's Day dining specials, this is the place you have to be with your loved one on February 14. The 1750 Bistro at the Holiday Inn Lansdale is extending Valentine&apos;s Day this year. From February 9 through February 14, guests can enjoy a three-course dinner for two for $49. The meal includes a shareable appetizer, two entrees, and two desserts. 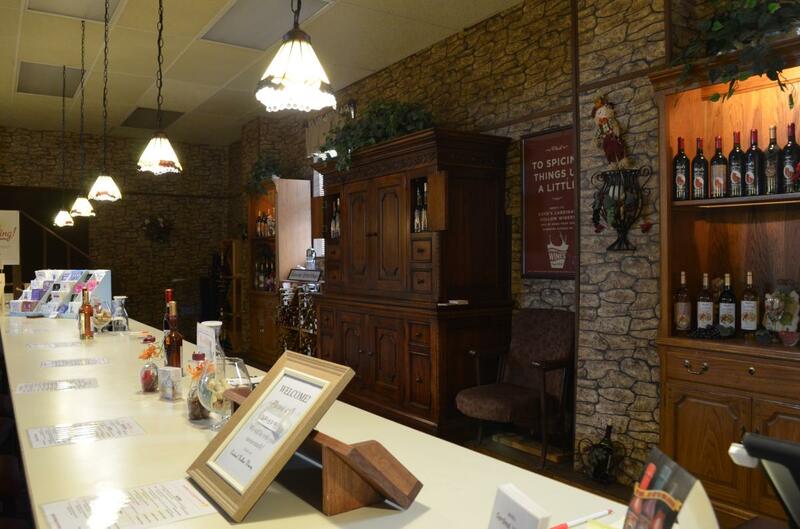 Boyd&apos;s Cardinal Hollow Winery is doubling the romance this year with a pair of Valentine&apos;s dinners on February 11 and 14. For $175 per couple, guests can enjoy a salad, soup, small plate, entree, and dessert, all paired with Cardinal Hollow&apos;s signature wines. 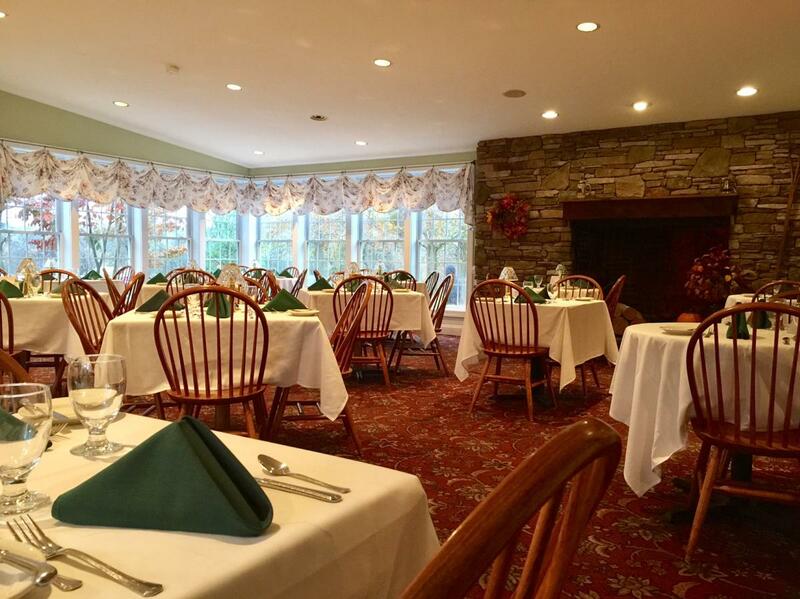 Enjoy a romantic dinner at the Copperfield Inn at Lakeside. The restaurant will be offering special entrees and cocktails. Live acoustic music will be presented by Paul Donovan. Beginning on February 9, Davio&apos;s Northern Italian Steakhouse in King of Prussia will be offering a three-course Valnetine&apos;s menu for $75 per person. The meal includes anitpasto, insalata, and piatto del giorno - the main course of filet Mignon and Main lobster. The Farmer's Daughter Restaurant at Normandy Farm Hotel & Conference Center is celebrating Valentine's Day with specials February 14 through 18. In addition to the restaurant's regular menu, guests can enjoy specials that include the lavender sous vide New Jersey duck breast or one of the restaurant's "love-infused" cocktails. 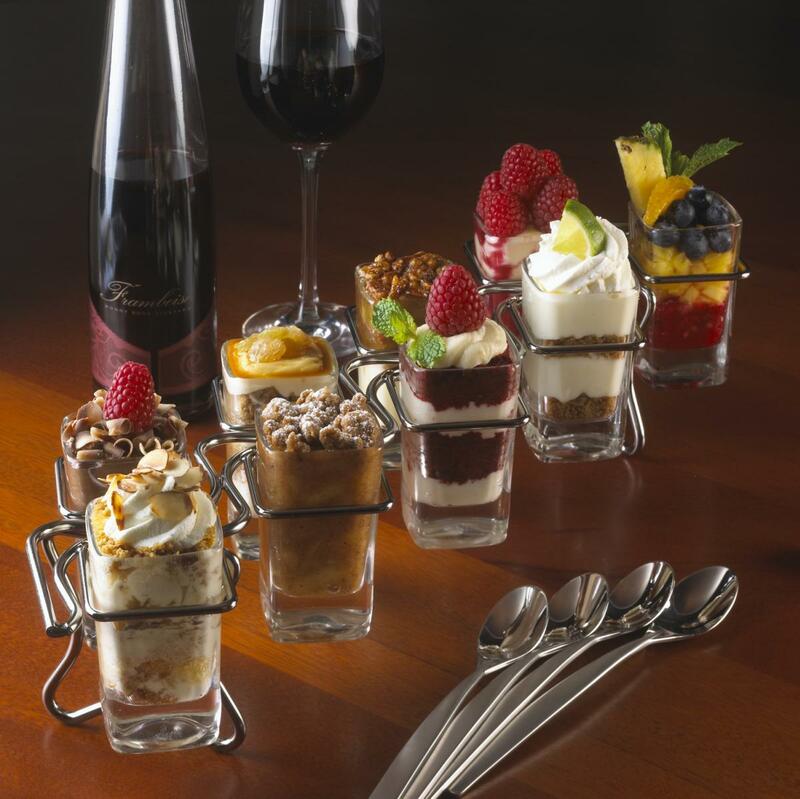 Celebrate at Fogo de Chao King of Prussia and come back for a romantic meal again this spring. Couples who enjoy a signature charrasco experience between February 10 and 17 will receive a dining card for a free churrasco dinner that can be redeemed between February 18 and May 3. 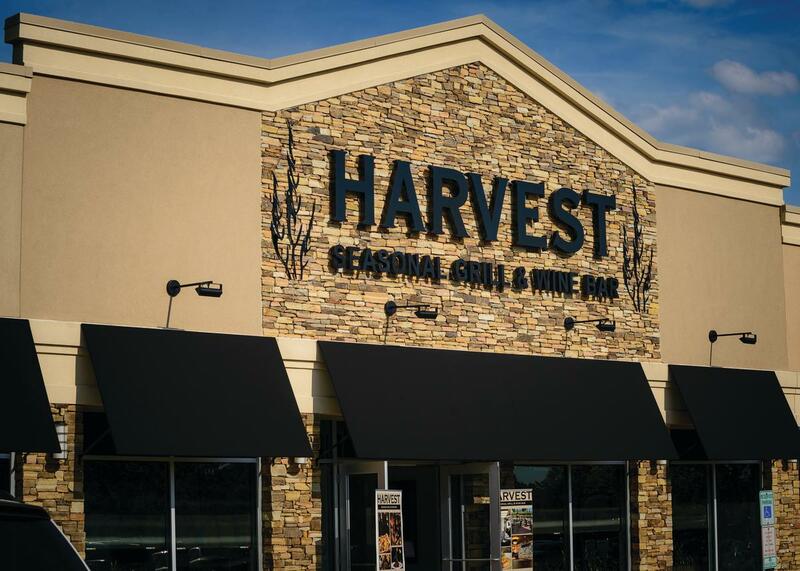 Harvest Seasonal Grill is adding several selections to its menu in celebration of Valentine's Day. In addition to the seasonal menu, dinner options include a lobster tail and Wagyu sirloin for two. And for dessert, the tartufo for two consists of red velvet cake, pomegranate, dark chocolate ganache, and vanilla bean and salted caramel gelato. These selections are available February 14 through 17. It&apos;s a Valentine&apos;s Murder Mystery at Maggiano&apos;s in King of Prussia. Enjoy family style dining while trying to solve the murder (where you just may be the prime suspect). Dinner selections include chicken Florentine, Parmesan-crusted tilapia, and four-cheese ravioli. One bar beverage ticket and complimentary soft drinks are included in the $65 price. Celebrate Valentine&apos;s Day with a romantic fondue dinner for two. The Melting Pot is offering a special menu for couples. Additional packages are available to make your Valentine&apos;s Day even more memorable. Add chocolate covered strawberries to your meal, make it a candle lit dinner, or give her a dozen roses. Mistral King of Prussia is offering a four-course prix fixe dinner on Valentine&apos;s Day for $60 per person. The inspired dishes include 48-hour short rib with smoked sunchoke, Cipollini onions, and trumpet royale. An optional wine pairing is available for $35. Paladar is offering a three-course prix fixe dinner on February 14. The menu includes a range of Latin American infused dishes, including dry-aged adobo steak churrasco, rum-glazed Cuban pork, roasted chicken mole, and Jamaican curry vegetable stew. Fine Italian food and Frank Sinatra are the perfect recipe for romance this Valentine&apos;s Day. On February 14, Peppers Italian Restaurant in King of Prussia is showcasing the Sounds of Sinatra with Tony Leodora from 6 to 9 p.m. 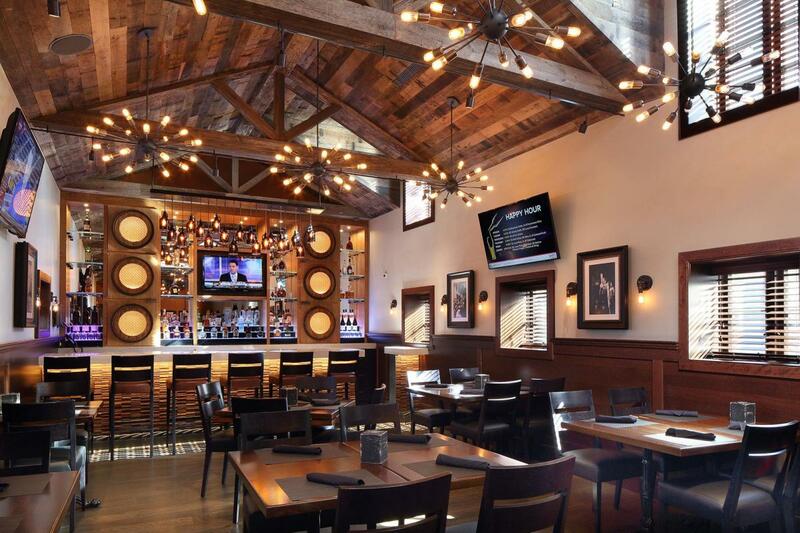 The Valentine&apos;s Day dinner for two at Revolution Chop House includes two appetizers, a shareable entree - choice of seafood paella or 32-ounce ribeye - and a white chocolate bread pudding to share for dessert. 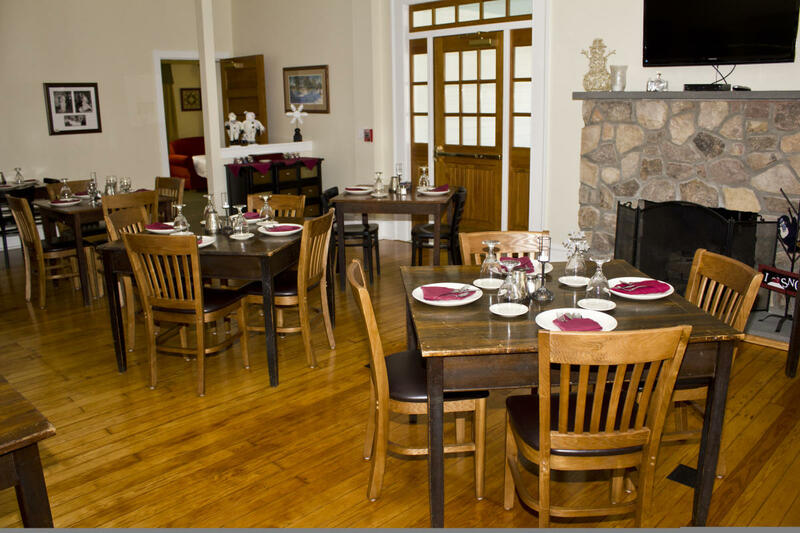 Couples can share a four-course dinner for $89.95 this Valentine's Day at The Rising Sun Inn. Meals include an appetizer sampler for two, choice of soup or salad, entree selections that include petite filet of bison or sauteed veal medallions Marsala, and a chocolate fondue for dessert. Seasons 52 reminds everyone that what&apos;s important is your date, not the date. That&apos;s why the restaurant is offering its Valentine&apos;s Day specials between February 11 and 13. The three-course dinner for two is just $60 per couple. Sullivan&apos;s Steakhouse is featuring a three-course prix fixe menu for $79 per person this Valentine&apos;s Day. Entree selections include twin lump crab cakes, a 16-ounce ribeye, and simply prepared salmon. Don&apos;t forget to save room for dessert and Sullivan&apos;s famous Chocolate Meltdown. Enjoy a romantic four-course dinner at Gatsby&apos;s at The Sunnybrook Ballroom on February 14. The recently reopened restaurant is offering some of its best entrees, including roasted rack of wild boar and rum glazed halibut among the nine selections on the Valentine&apos;s Day menu. Six special dishes will be available on Valentine's Day at Taphouse 23. In addition to the regular menu, couples can enjoy French kiss oyster shooters, bruschetta grilled French baguette, a 12-ounce New York Strip steak, and more. Enjoy a five-course Valentine's dinner for two at The Village Teahouse. Couples can sit down to a romantic meal on Friday, February 9 or Saturday, February 10. The all-inclusive meal features either beef Wellington or the village roasted eggplant. 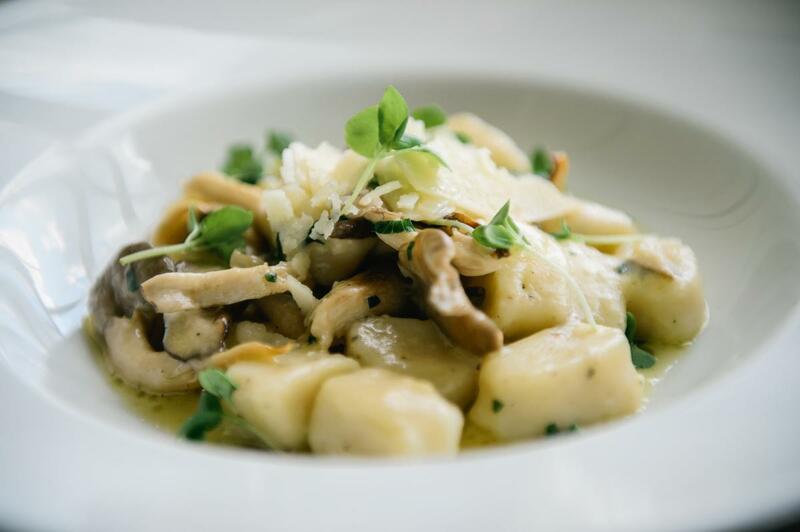 Woodside Lodge's prix fixe Valentine's Day menu includes an appetizer, choice of soup or salad, entree, dessert and coffee, and a complimentary glass of Champagne. Menu selections include salmon en croute, Frenched lamb chops, and the eggplant, beet, and mozzarella tower. On Sunday, February 11, A Taste of Britain is hosting its annual Valentine's Tea. Enjoy a mix of savories and sweets paired with premium loose leaf tea. Cost is $34 for adults and $22 for children. Fleming's four-couse, prix fixe menu will be available between February 9 and 18, with extended dinner hours for those looking to celebrate on February 14. Entree options include filet mignon or New Zealand barbecue salmon, each served with a choice of colossal shrimp or colossal king crab leg. 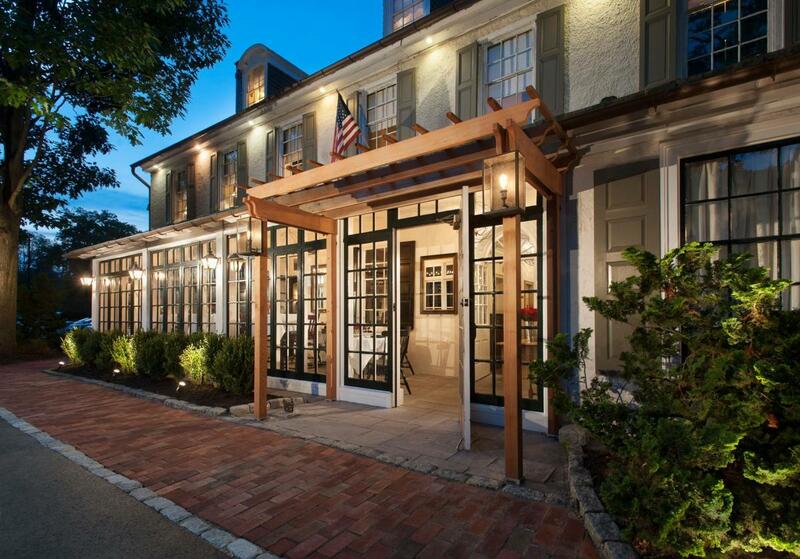 Romance and history combine with a Valentine's Day dinner at the Historic General Warren. The General Warren is preparing a special menu for the occasion, with entrees that include the Lovers Surf and Turf for Two - four-ounce lobster tails, petite four-ounce filet Mignon, and lobster ravioli in buerre rouge. 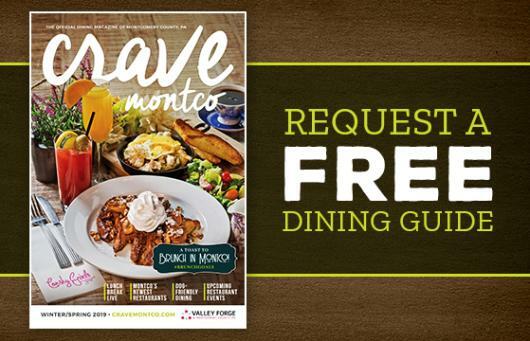 Shady Maple Smorgasbord in nearby Lancaster County is offering special prices on breakfast, lunch, and dinner. Features on the dinner buffet include prime rib, fitet Mignon, crab au gratin, and steamed shrimp. In addition, all ladies will receive a free carnation. Spend a memorable, romantic evening on the water with the Spirit of Philadelphia. Spirit Cruises will host three Valentine's Dinner cruises on February 10, 14, and 17, with a buffet menu that includes slow roasted prime rib, whole-roasted pork loin, and oven baked Atlantic cod filet. Phoenixville's Thai L'Elephant has two prix-fixe menus for Valentine's Day. 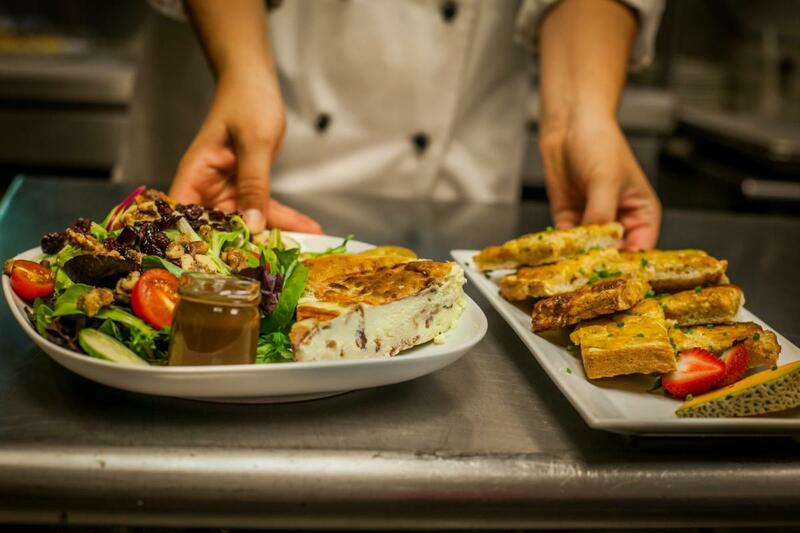 Both include choice of starter, entree and a surprise dessert for either $35.95 or $30.95 per person. The Washington House is offering a four-course meal for $55 per person on Valentine's Day. 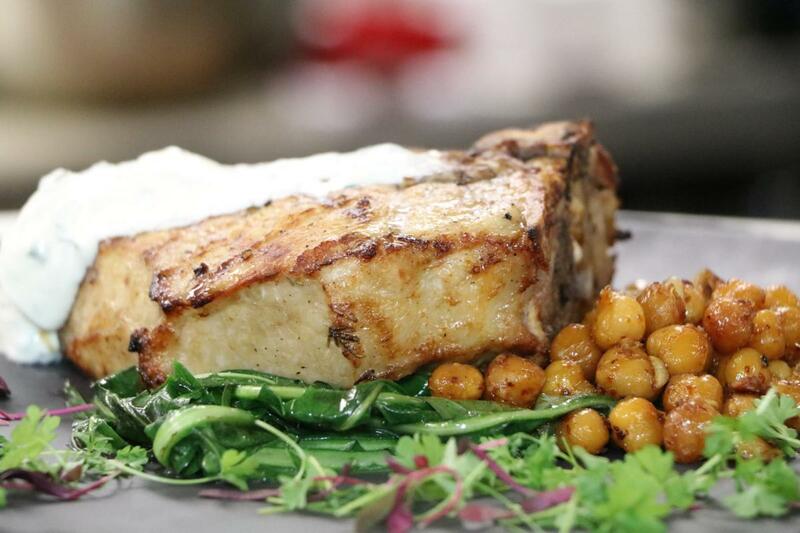 Entree options include the game mixed grill, grilled swordfish, and herb crusted rack of lamb. On Sunday, February 11, the restaurant will also offer a Valentine's Champagne brunch.